This loose-fitted, hooded caftan is worn everyday in the Maghreb region of North Africa. Traditionally, they were worn ankle-length and over shirts with or without trousers (for men) and over a caftan for women. The Djellaba protected the wearer from the desert sun as well as the cold nights. 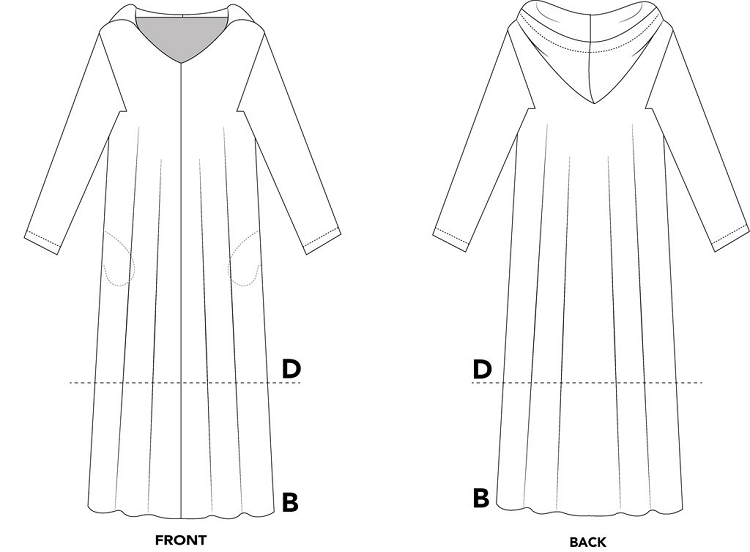 This pattern features square sleeves, pockets, and four versions. 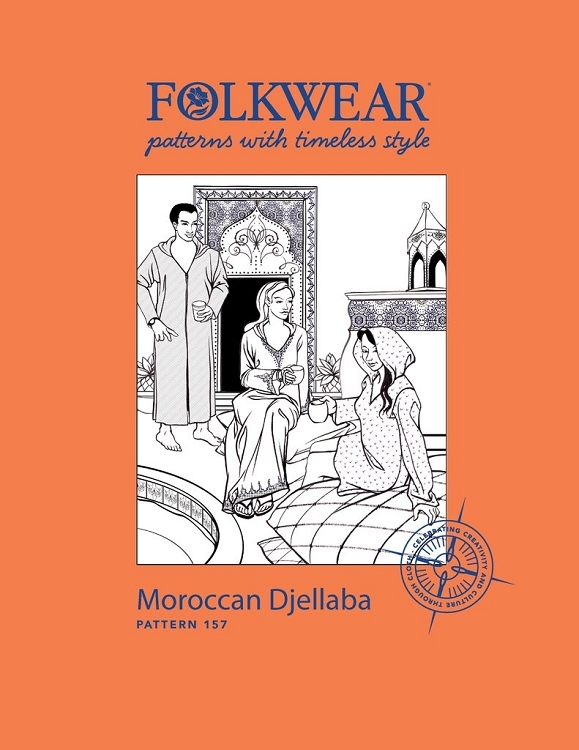 Our Djellaba comes in two lengths: ankle-length (traditional) or upper calf-length, and can be made with a zip front or as a pullover. 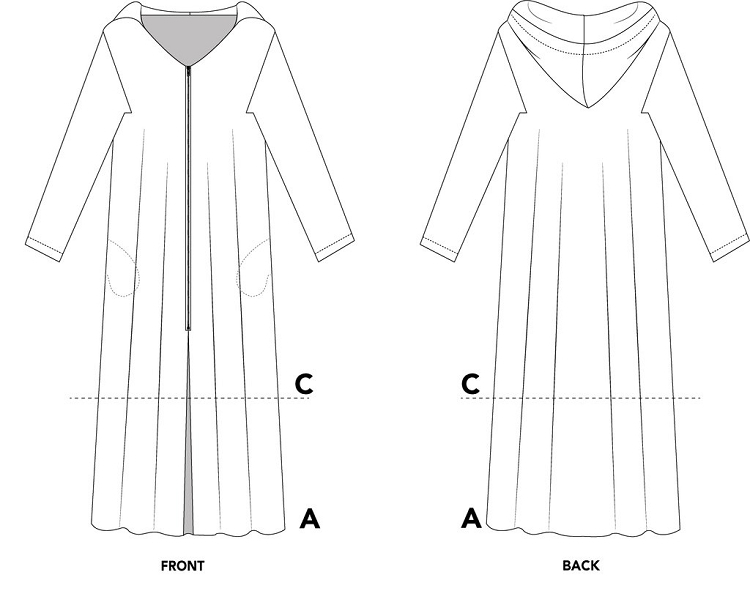 Add trim for a truly unique garment. It is perfect as a beach cover up, robe, jacket, or simple dress! Suggested fabrics: Woven fabrics such as cotton, cotton blends (muslin, broadcloth, chambray); lightweight denim; rayons; linen; light to medium weight wools and wool blends; silk and silk blends.